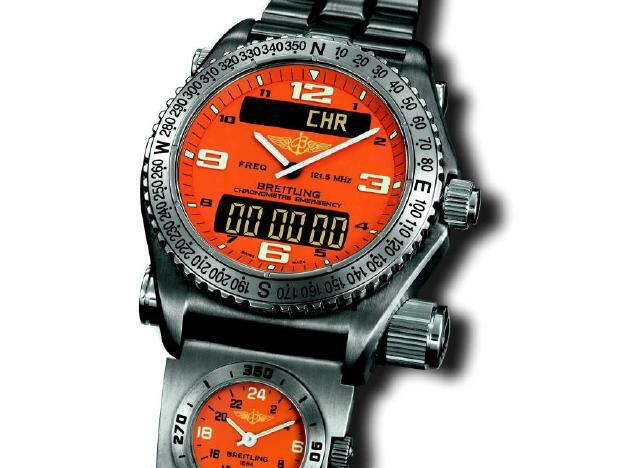 The 1st generation of Breitling Emergency produced in 90s had a distinctive look. 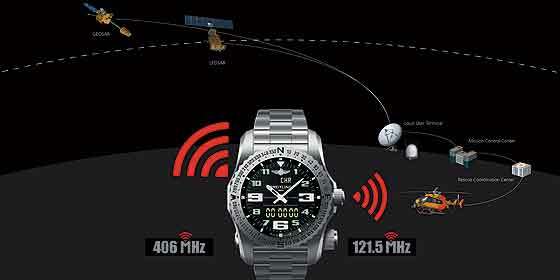 Automatically broadcasting at 121.5 MHz when activated, the watch had apprx. 100 miles of coverage area. At 2009 most search & rescue stations have left the 121.5 MHz frequency band for the favour of 406.040 MHz upgrade which offers wider coverage and precise location spotter through the low orbit satellites of Cospas/Sarsat. 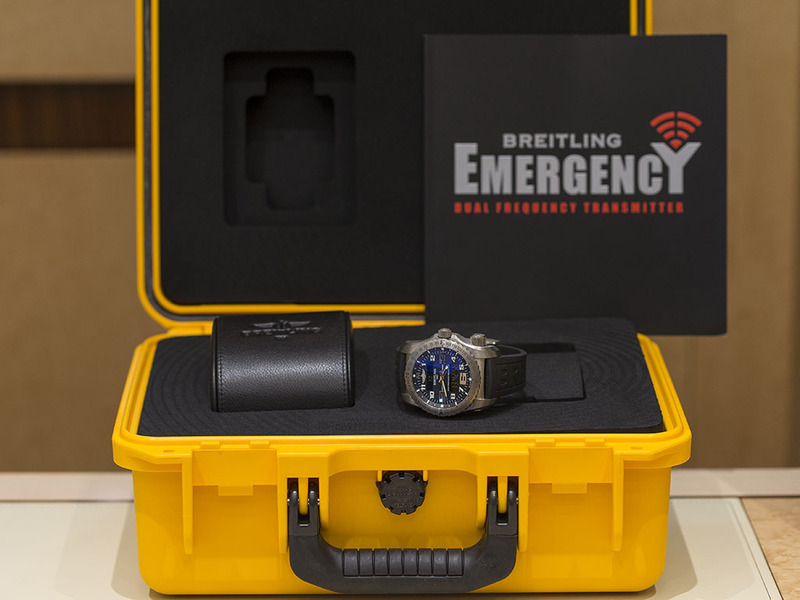 Breitling guaranteed the latest technology compatibility while designing the new Emergency II by adding the 406.040 MHz to the embedded transponder. 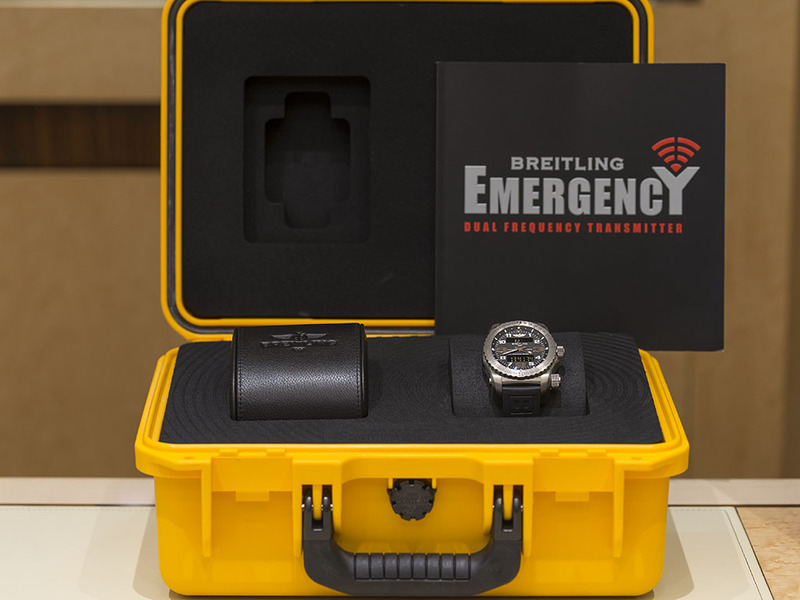 Being aware of the 121.5 MHz frequency band has not completely out of usage, Breitling designed the Emergency II with duo signal broadcasting ability creating the world's first double frequency band broadcasting wrist watch while leaving no blind spots for search and rescue missions. Emergency II has a basic system of working actually. 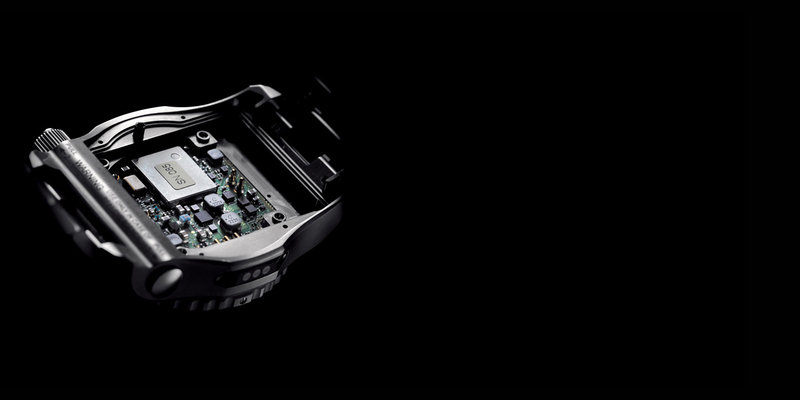 The watch has two main parts; time keeper and radio transmitter. The transmitter side contains a couple of capsules filled with antennas capable of broadcasting in two different frequencies.The signals are transmitted automatically upon release of the capsules. Both antennas transmit signals on equal intervals for 24h. Under normal conditions the watch has to be re-charged at every 2 months. 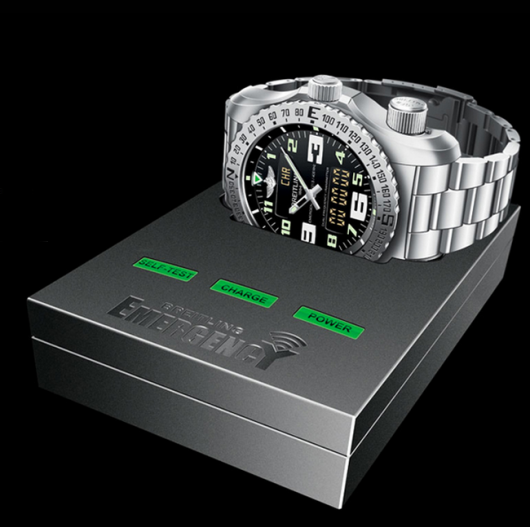 Emergency II has a rechargable battery and a charging kit along with the box set. Being pretty power consumpting when compared to the 1st gen models, the watch's charger kit is absolutely a handy gadget for the user. 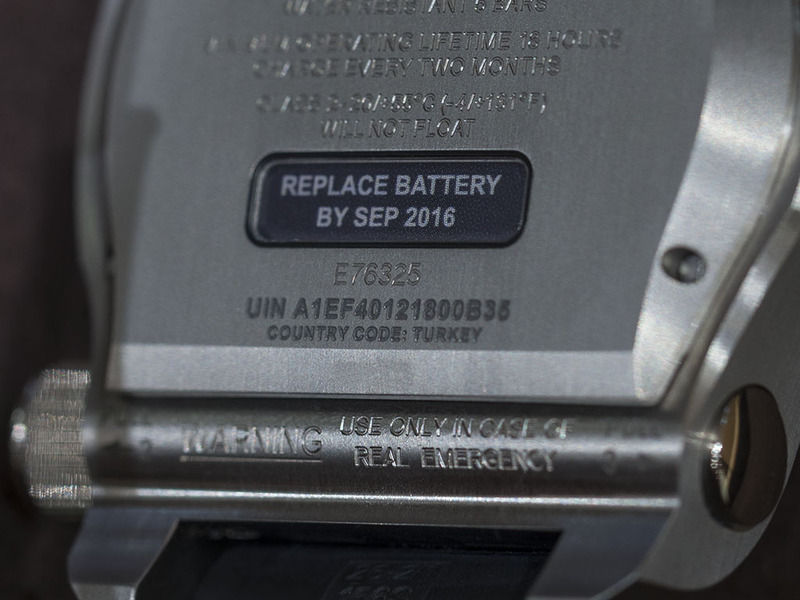 Let us remind you that the charger kit also checks the watch's functions when connected. The time keeping device is powered with another battery. 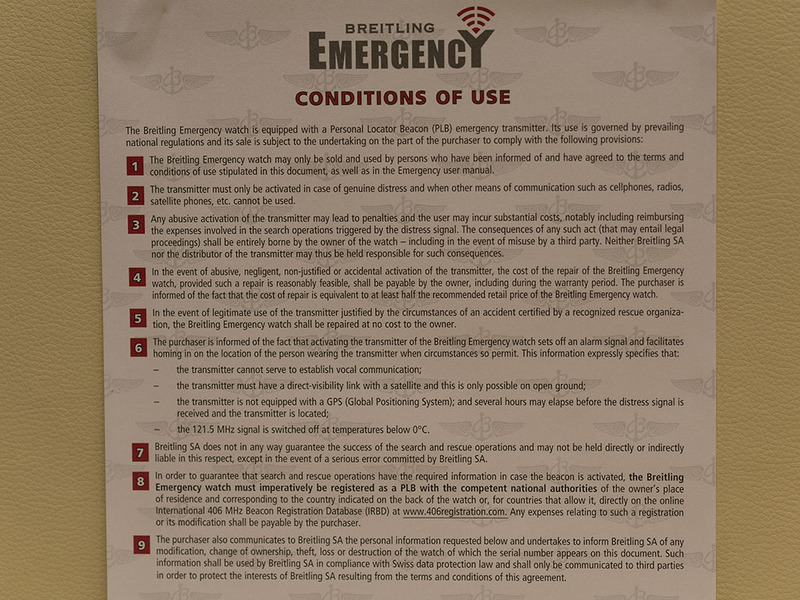 The protocol for the using conditions of the emergency function for the watch includes several sub titles which are revised over the 1st gen one's. 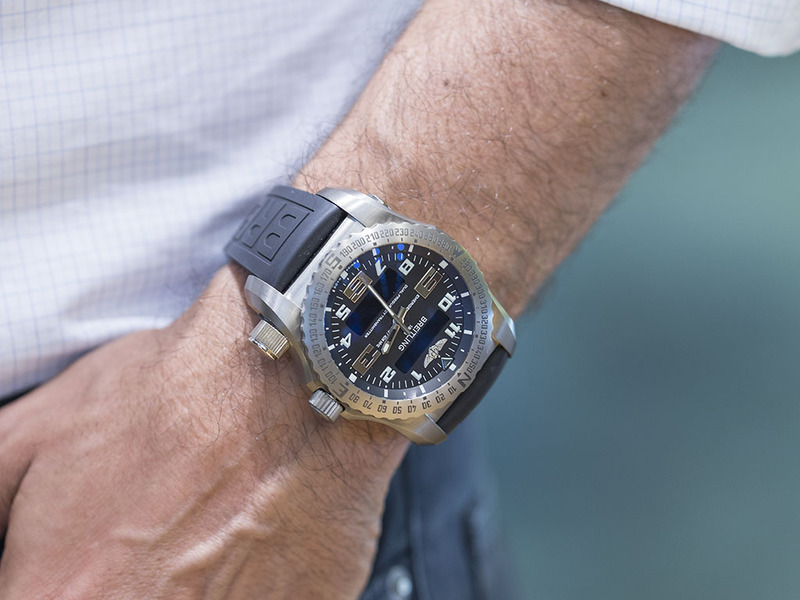 Breitling states that the brand will provide a new watch to the owner in case the watch has been used properly for a rescue mission as the emergency function is set to work one time only. 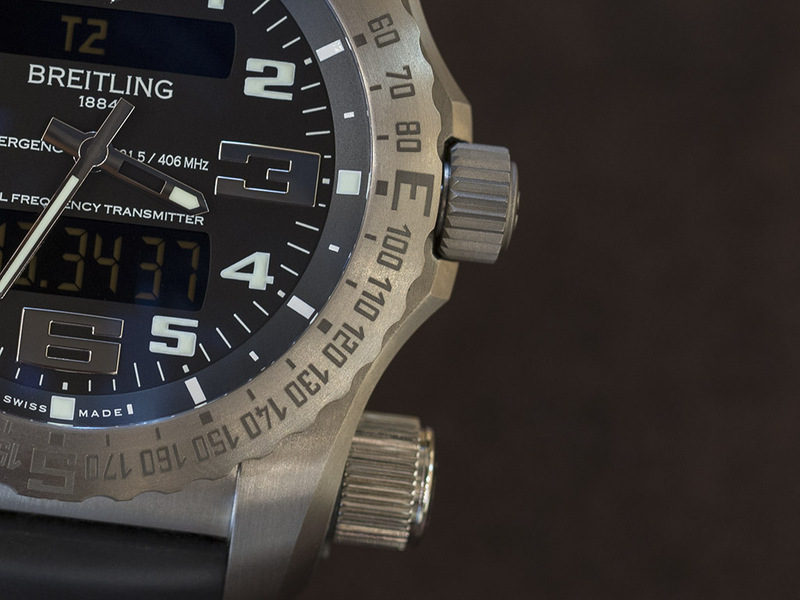 Being quite complicated in technology wise, Breitling deserves every credit for it's live saving watch and it's user friendly structure. 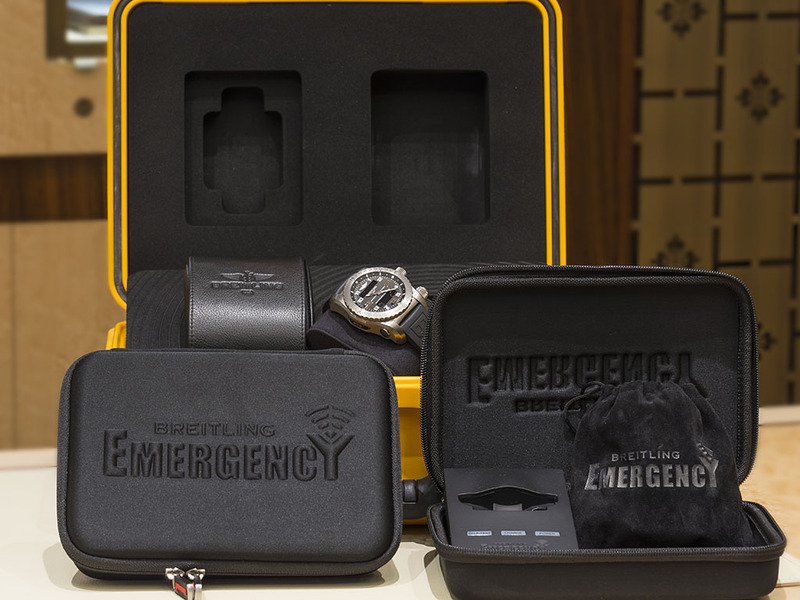 Emergency II looks like the big brother of 1st gen models as the case has a massive 51mm diameter listing the watch under “oversize “title. 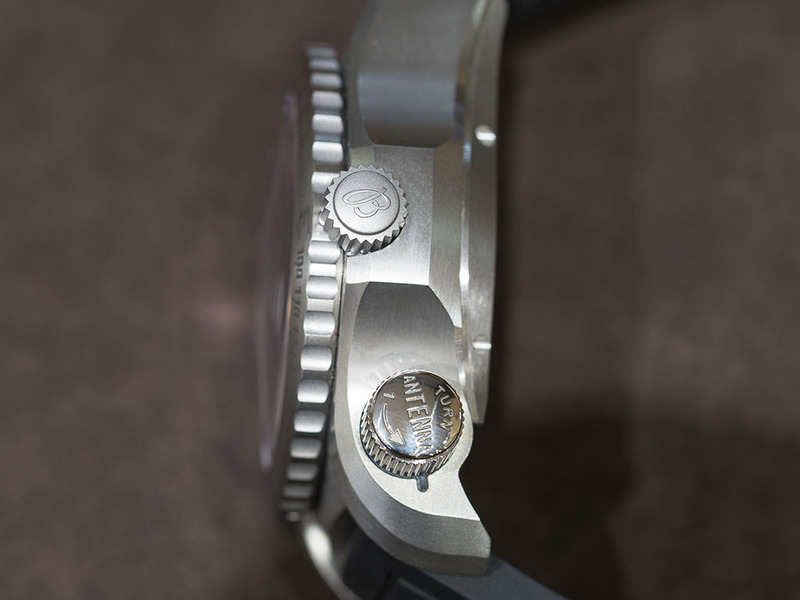 In the meantime, the watch wears quite comfortably thanks to the titanium. 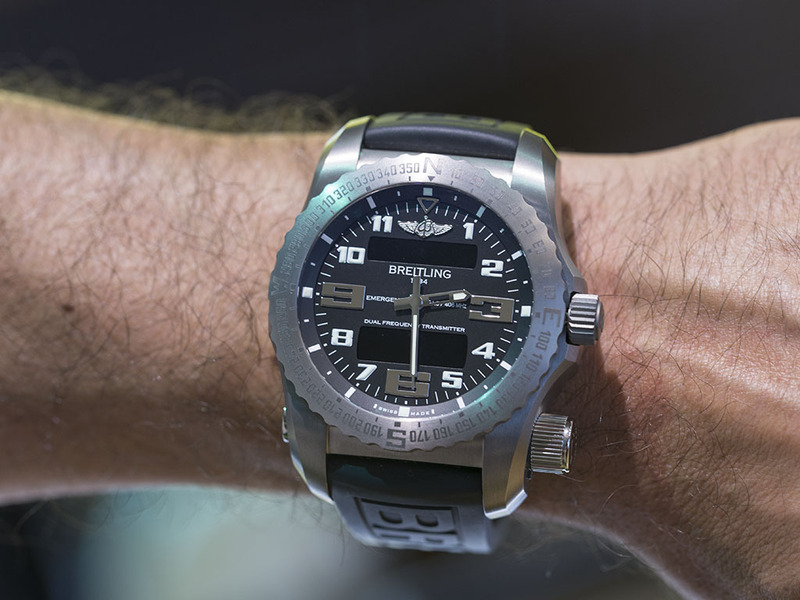 When you look at the watch's case back you understand ( if you did not already ) this watch is not a trekking companion or a fisherman's gadget but rather a serious, professional live saving device. 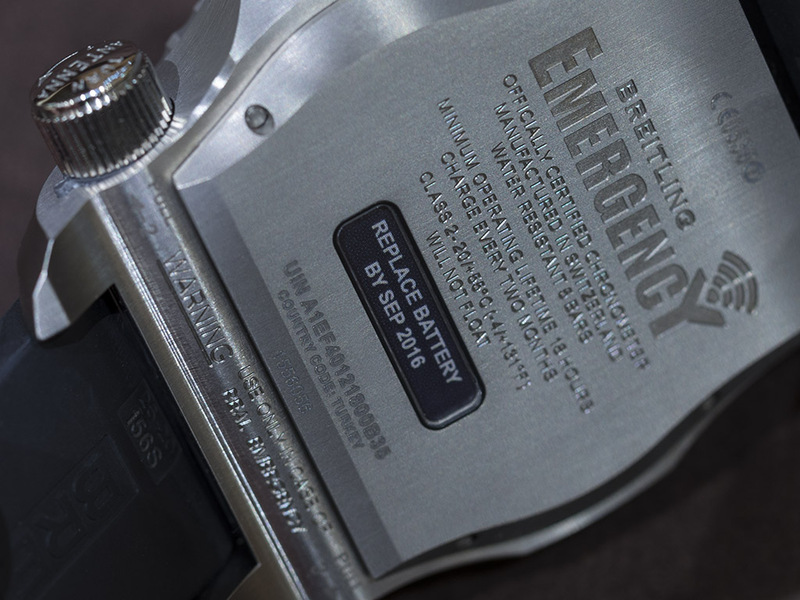 For a product like Emergency II the most important specification is durability which is fully offered with this watch. 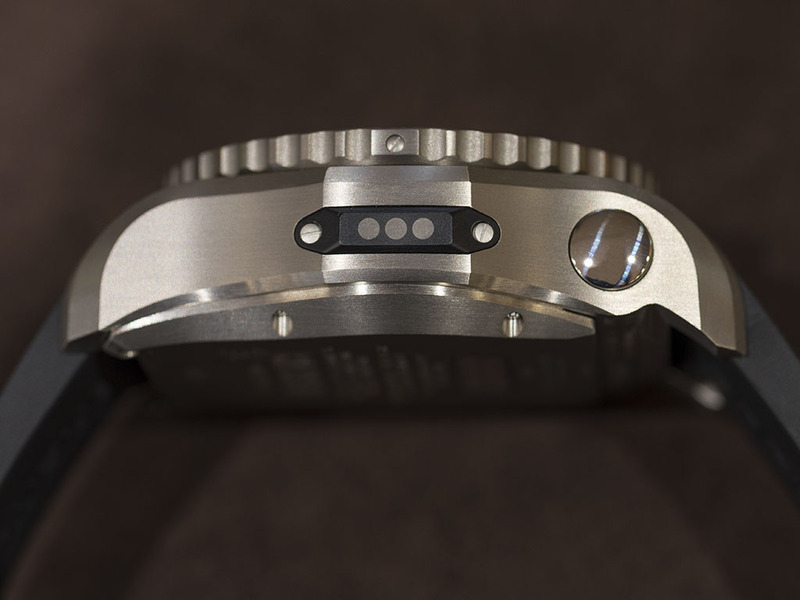 Emergency II is powered by a in-house and multi-function quartz caliber Ref. 76 SuperQuartz COSC. Designed in analog/digital combo style, the caliber has lots of useful functions like 1/100scn chronograph, world timer and perpetual calender. The inverted ( light color display over dark color background ) LCD display matches the watch's professional style perfectly. The hi-tech caliber's time keeping performance is amazing at +/- 10scn per “year”. The watch is rated at WR50M. Though 50M takes the watch away from serious water activities it's still efficient enough for most cases. 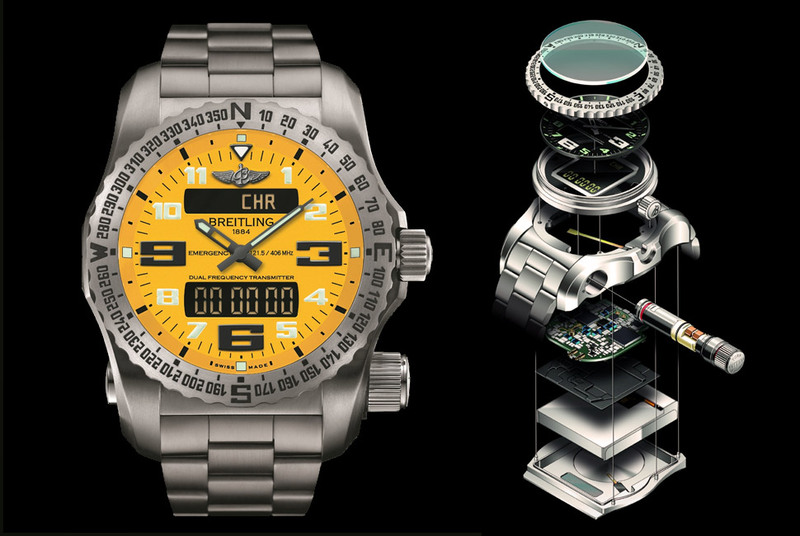 The dial has color options as yellow, black and orange. The crystal is sapphire. With it's strap options as rubber strap or professional style metal bracelet, Emergency II looks pretty handsome in every way.